Albion House is a three-storey Georgian property which has been stylishly furnished, resulting in a cool, contemporary holiday home for up to 6 people. This is a perfect place to stay in the heart of Burnham Market one minutes walk from the village green and the renowned "Hoste Arms", with the advantage of off-street parking for 2 cars and a private courtyard garden. This uniquely designed house with a classic/modern twist is a super place to stay. The stunning Norfolk coast is only 5 minutes drive away with its endless unspoilt sandy beaches. This option to rent Albion House at reduced rates for up to 6 guests is only available out of school holiday periods. The whole house can sleep an additional 3 guests if the top floor is included in the rental. 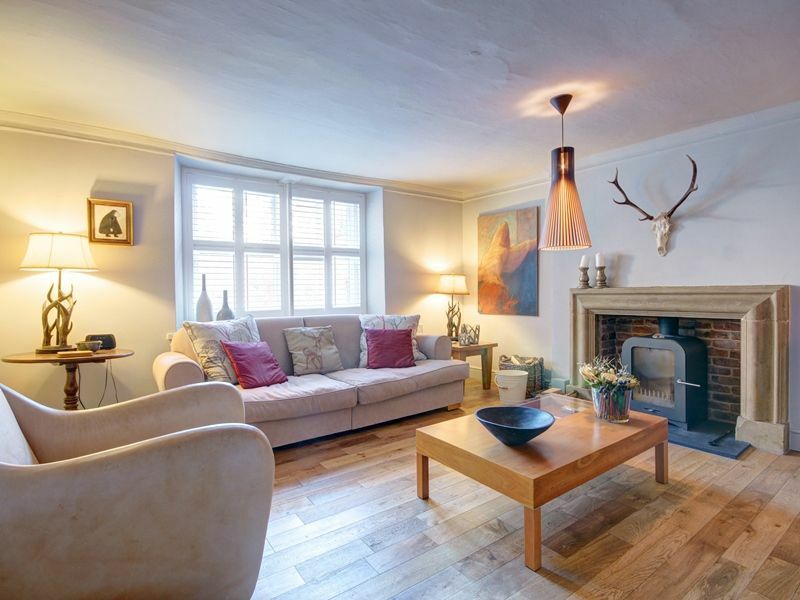 Sitting Room: Stylish room with an oak floor, wooden shutters on the windows, contemporary wood-burning stove and 2 large comfortable sofas and Matthew Hilton designer leather armchair. There's a flat screen freeview TV with DVD player and a selection of books and DVDs.